We know you've lost your fizz. But we're finally ready to bring it back. It’s magic stuff, in that people, especially kids, smile wide, and their mind starts whirring when trying it for the first time. It can be purely fruit, as good as the fruit can be, wholesome, healthy, only better. Fizzy carrots are great too! And we should avoid frankenfood: it’s all in the details, and what you start with. #1 Find a way to make that equation happen! Coolers, pressure vessels, PV=nRT. You got this. Pros: makes the best, fresh fizzy fruit with what YOU want to fizz. #2 Fresh cut with with disposable but recyclable PET packaging. Pros: Just as good as homemade, if done right. No sugar! Organic! Whatever you need. Convenient. Available to everyone. #3 Shelf stable in an aluminum can. If you try to make it yourself--please be careful! Between dry ice or CO2 under pressure, there are plenty of ways to get accidentally hurt. That’s why we’ve been focusing on #2 and #3 above. It’s kind of simple, but it isn’t easy. We hope you get to try some soon. 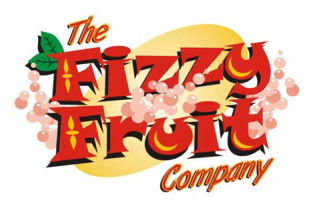 Fizzy fruit: What is possible.